As an educator, technological innovation is a subject that comes up quite often. Not only are teachers expected to keep up with trends so they can adapt them into their teaching strategies, classrooms,and prepare children in how to use them, they are also forced to contend with how these trends are changing the very nature of education itself. If there was one thing we were told repeatedly in Teacher’s College, it was that times are changing, and we must change along with them. And as history has repeatedly taught us, technological integration not only changes the way we do things, but the way we perceive things. 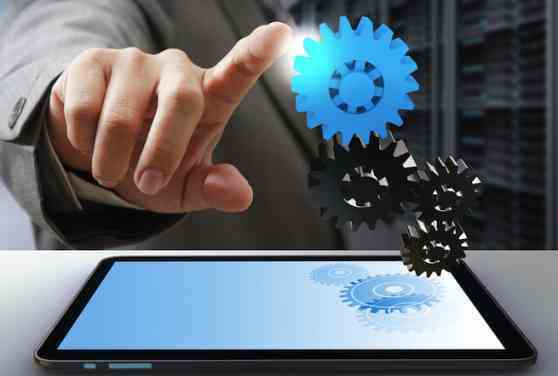 As we come to be more and more dependent on digital devices, electronics and wireless communications to give us instant access to a staggering amount of technology, we have to be concerned with how this will effect and even erode traditional means of information transmission. After all, how can reading and lecture series’ be expected to keep kid’s attention when they are accustomed to lighting fast videos, flash media, and games? 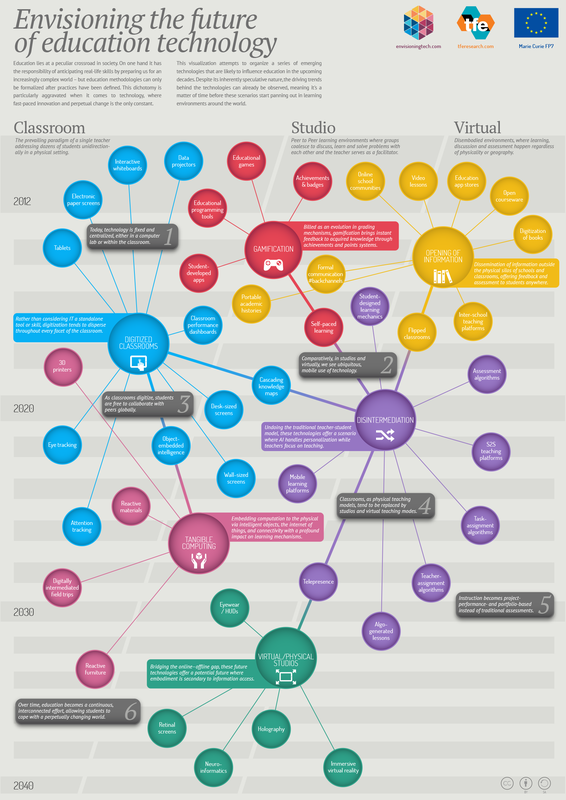 And let’s not forget this seminal infographic, “Envisioning the future of educational technology” by Envisioning Technology. As one of many think tanks dedicated to predicting tech-trends, they are just one of many voices that is predicting that in time, education will no longer require the classroom and perhaps even teachers, because modern communications have made the locale and the leader virtually obsolete. 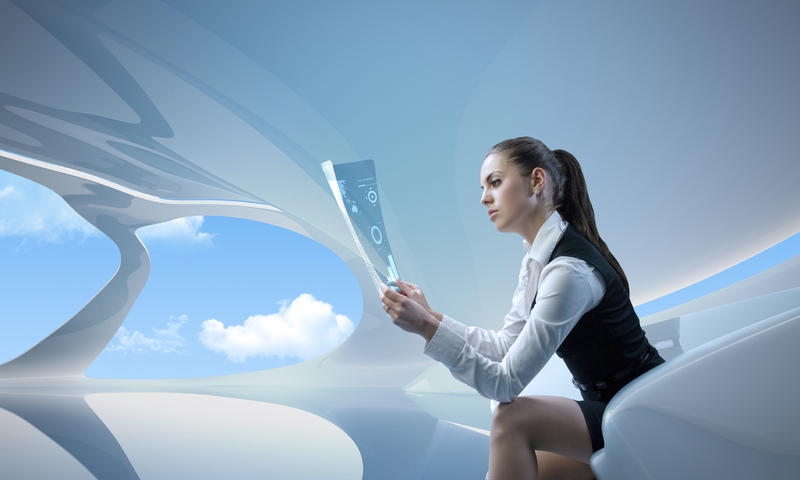 Pointing to such trends as Massive Open Online Courses, several forecasters foresee a grand transformation in the not too distant future where all learning happens online and in virtual environments. These would be based around “microlearning”, moments where people access the desired information through any number of means (i.e. a google search) and educate themselves without the need for instruction or direction. The technical term for this future trend is Socialstructured Learning = an aggregation of microlearning experiences drawn from a rich ecology of content and driven not by grades but by social and intrinsic rewards. This trend may very well be the future, but the foundations of this kind of education lie far in the past. Leading philosophers of education–from Socrates to Plutarch, Rousseau to Dewey–talked about many of these ideals centuries ago. The only difference is that today, we have a host of tools to make their vision reality. One such tool comes in the form of augmented reality displays, which are becoming more and more common thanks to devices like Google Glass, the EyeTap or the Yelp Monocle. Simply point at a location, and you are able to obtain information you want about various “points of interest”. Imagine then if you could do the same thing, but instead receive historic, artistic, demographic, environmental, architectural, and other kinds of information embedded in the real world? This is the reasoning behind projects like HyperCities, a project from USC and UCLA that layers historical information on actual city terrain. As you walk around with your cell phone, you can point to a site and see what it looked like a century ago, who lived there, what the environment was like. The Smithsonian also has a free app called Leafsnap, which allows people to identify specific strains of trees and botany by simply snapping photos of its leaves. In many respects, it reminds me of the impact these sorts of developments are having on politics and industry as well. Consider how quickly blogging and open source information has been supplanting traditional media – like print news, tv and news radio. Not only are these traditional sources unable to supply up-to-the-minute information compared to Twitter, Facebook, and live video streams, they are subject to censorship and regulations the others are not. In terms of industry, programs like Kickstarter and Indiegogo – crowdsources, crowdfunding, and internet-based marketing – are making it possible to sponsor and fund research and development initiatives that would not have been possible a few years ago. Because of this, the traditional gatekeepers, aka. corporate sponsors, are no longer required to dictate the pace and advancement of commercial development. In short, we are entering into a world that is becoming far more open, democratic, and chaotic. Many people fear that into this environment, someone new will step in to act as “Big Brother”, or the pace of change and the nature of the developments will somehow give certain monolithic entities complete control over our lives. Personally, I think this is an outmoded fear, and that the real threat comes from the chaos that such open control and sourcing could lead to. Is humanity ready for democratic anarchy – aka. Demarchy (a subject I am semi-obsessed with)? Do we even have the means to behave ourselves in such a free social arrangement? Opinion varies, and history is not the best indication. Not only is it loaded with examples of bad behavior, previous generations didn’t exactly have the same means we currently do. So basically, we’re flying blind… Spooky! This makes me glad I don’t plan to be an educator. I get scared at the prospect of all of the change…in addition to the workload. Already hundreds, if not thousands, of youth are being educated as you say in homeschooling situations, and not all being subject to ideological or religious indoctrination in their homes. At any rate, I’ve been saying for years that traditional public schools are not succeeding and should be broken down. Not necessarily because teachers aren’t qualified, but because children do learn early from technology. Even “poor” children today have access to TV, computers, etc. The challenge is that the “political leaders” are some of the most ignorant because they don’t spend enough time exploring the internet and alternative sources of news and information.Knowing that you’re a teacher helps me understand why you always present such balanced essays on your topics. And, I have to ask who and what do you teach? Right now, I teach elementary at a “Tribal School” in Saanich, which is north of Victoria on Vancouver Island. It’s a private school that is run by the local Native bands and is dedicated to making sure their kids get a comprehensive education, while doing a lot to ensure that there’s cultural and language revitalization. I’m a high school teacher by training, but this is where I work right now. I’m mainly on call but I work there very regularly, mostly in educational assistant and special education helper roles, but often as a classroom teacher too.